Family Experss Auto Registration provides registration services for Montana Capital Car Title Loans customers. The store is located at 8014 S Central Ave, near the intersection with E 81st St. 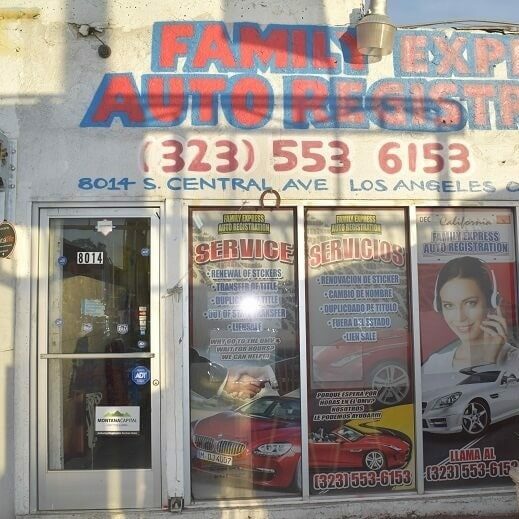 If you live in Los Angeles and in need of registration services, stop by Family Experss Auto Registration that works with Montana Capital Car Title Loans in Los Angeles. 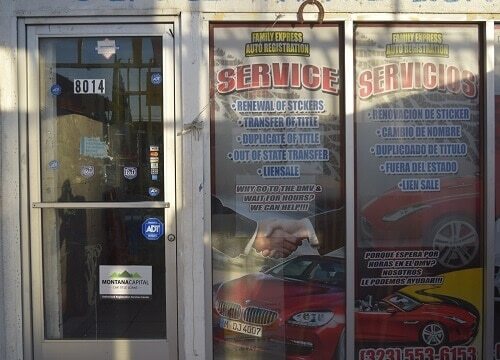 Family Experss Auto Registration provides our clients with unmatched customer service. 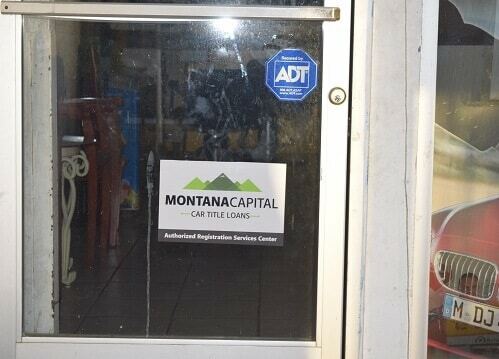 Montana Capital Car Title Loans does not issue loans at this location. There is no doubt about it – Los Angeles is a super city to live in. It is fast paced, lively and is lined with beautiful, sunny beaches. What more could one ask? It’s in the epicenter of the country’s television and film industry and there is always someplace to go and something to do. Los Angeles houses Warner Brothers, Universal and Paramount Pictures, where you can take fantastic tours. You can actually touch and see the hand and footprints of the stars on Hollywood Boulevard and can tour the homes of the stars by just following the map. If that’s not enough there is the Griffith Observatory with its planetarium and Griffith Park with beautiful views of the city, hiking trails and a zoo. It makes no difference if you have a great job in LA or if your work is seasonal. You can still run into money troubles, no matter how great of an income you have. If you’ve become over extended by credit card debt or if there wasn’t enough work last month and you don’t know how you’ll pay next month’s rent, we might be able to help you. Owning a car in LA is a great asset, because you can use its value to secure a quick cash loan. That means that you don’t need to give your car up, but only by using the value as collateral you can get the money you need to keep going. Actually, the money from car title loans can be used for any purpose, such as a quick get-away, paying school loans or making a fun purchase. Send your online application to us at Montana Capital Car Title Loans in Los Angeles or contact us for more information. Keep Your Car and the Cash! We know you need your car for work and everyday living, so we will use your car as security by putting our name on the title of your car. After you’ve met the obligations of the signed contract, the DMV will issue you a new title for your car without our name on it. This is true even for people who have gotten into a bad credit situation. If your car has a high enough value, you can meet the payment obligations and you fit into our credit standards, we will be happy to contact you!